April 3, 2019 started off as “just another day” for me. I said goodbye to my wife and daughters, blessed them, drove to work at the parish, took care of multiple emails and led a rosary for our Senior Adult Ministry. At 3 PM, I went over to the chapel and prayed a Chaplet of Divine Mercy for all the souls in purgatory. As always, I emphasized “those who will die today”. Never did I think that I could have been praying for myself. I left the parish at 4 PM, said a prayer for safe travels and prepared for the drive home. It was a beautiful day and I was looking forward to a peaceful ride. As I typically do, I alternated between listening to podcasts, Christian music and praying. The traffic on the Pennsylvania Turnpike seemed lighter than normal and all was well. At around 4:15, there appeared to be a slowdown (which is nothing out of the ordinary) and I applied my brakes and came to a stop. I looked in the rearview mirror (an instinctive move) and saw a car approaching at an uncomfortable rate of speed. Time seemed to slow down as I braced for the inevitable. I was about to take a direct hit by a car traveling at 70 miles per hour! As I climbed out of the car, I noticed the postcard of the Blessed Mother and the baby Jesus that I picked up two days earlier at the Shrine of Our Lady of Czestochowa. It was sitting on the passenger seat. A feeling of peace came over me, as I was reminded of their constant presence. I had some neck and back pain and I could feel that I hit my head on something (probably the visor), but I was able to walk unassisted. 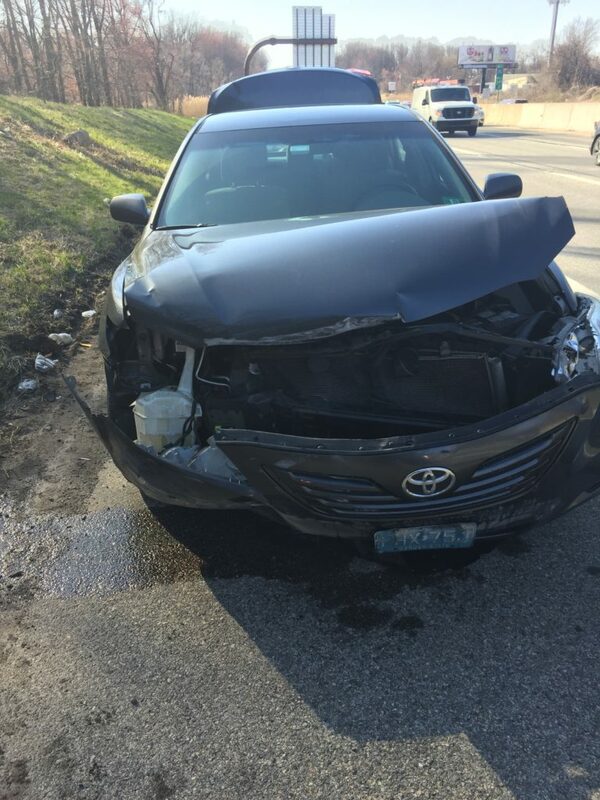 As I waited to complete the police report and have my car towed, I posted a message on Facebook asking for prayers and pondered how I would get home. Everything worked out perfectly. Before this incident, I was very aware that my time on earth is limited. I also understood that God expects me to use my gifts to advance His Kingdom. That is why I gave notice at the parish earlier this week. I’ve been feeling a strong calling to return to full time ministry as a speaker and author. There is work to be done. I understood that. But now that understanding is stronger than ever. The fact that I’m alive today is a reminder that the Lord isn’t ready for me yet. He still needs me to work for Him on earth. People need to know that Jesus Christ is real and wants to be a part of their everyday lives. He also wants them to have hope and be at peace. I plan to spend the rest of my life spreading that message. He has a plan for you as well. If you haven’t surrendered your life to Jesus, do it today. Tomorrow is not guaranteed. Ask Him to use you as His instrument. Don’t worry that you’re not qualified. None of us are. He will do the heavy lifting. All He wants is for you to say, “yes” and depend on His assistance. He will handle the details. I am alive for a reason and so are you. Jesus is counting on us to assist Him. I’m all in. How about you? On May 2, 2014, I was invited to give a talk to a group of Catholic leaders in Birmingham, AL. In attendance were many of my heroes, including Catholic TV/Radio personalities, EWTN executives and founders of Catholic ministries from around the world. At first, I was overwhelmed. What could I possibly offer to these individuals? I was relatively new to full time ministry and (in my opinion) hardly successful. 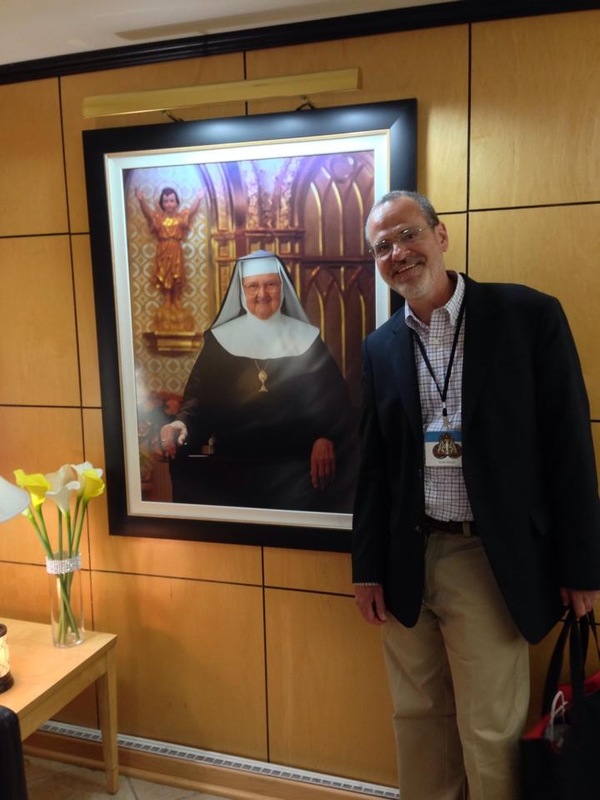 Since the conference was sponsored by EWTN, I decided to talk about Mother Angelica and how she inspired me to get to know Jesus and to respond when I felt Him calling me to full time ministry. I shared how Mother helped me to keep going, even when I felt like quitting. As a tribute to the life of Mother Angelica, I am sharing a transcript of my talk with you. Even if you are not involved in full time ministry, there is a message here for you. 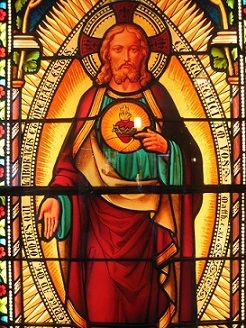 Jesus loves you and wants to be your friend. He is the answer to any problem you will ever face and through Him you can have eternal life in Heaven. As you grow closer to the Lord, you may be asked to carry a cross or take on a task that seems impossible. That is never the case. The life of Mother Angelica gives us proof that all things are possible with God! I have a BIG FEAR! I have suffered from anxiety from the time that I was very young. I am a hypochondriac, a coward, I love comfort and I am not a risk taker. 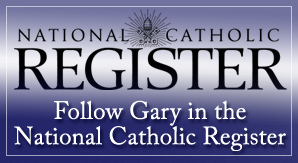 I am a cradle Catholic who up until late 2004 (with the exception of a few brief periods) was very lukewarm about my faith and had no personal relationship with Jesus Christ. I went to Mass each week and was too lazy to even pursue other denominations. In late 2004, a mystery ailment scared me and I thought that I was going to die. I knew that I wasn’t a good Catholic and was afraid to be judged. I was determined to learn more about my Catholic Faith. I began to listen to EWTN Radio, watch EWTN TV, attend daily Mass and pray the Liturgy of the Hours. I felt great peace even though I still thought I was going to die. I started out thinking I was going to learn more about my Catholic Faith and become a better Catholic, but I also ended up meeting and growing to love JESUS CHRIST! Eventually, the symptoms went away and no diagnosis was ever made. I resolved never to go back to my lukewarm way of life. In 2008, I felt the need to share what I learned with other lukewarm Catholics and FollowingTheTruth.com was created. I started blogging, doing numerous EWTN radio/TV programs and signed a contract to write a book, all while working full time as a project manager. I began to feel a call to work full time for the Lord and went on numerous Church related job interviews, getting turned down for each one. My wife Eileen and I prayed that I could work full time for the Lord, however, we thought that it would be in some sort of traditional job. In January 2012, our prayers were answered in an unexpected way. I was laid off! For the first time in 30 years, I was not collecting a weekly paycheck. Eileen and I prayed about it and reached the decision that I should do the “impossible” – become a FULL TIME Catholic Evangelist. In my mind, it was “impossible” to make a full time living and support my family as a Catholic Evangelist, but this is what I felt the Lord was calling me to do. The first year was difficult for me, as I struggled to obtain paid speaking engagements. Fortunately, we had some savings. I continued to pray and asked the Lord to “let it all fall apart” if it wasn’t His will for me. New doors kept opening up, but very little money was coming in. “My apostolate is on life support. Anything you can do to help me get more speaking engagements would be greatly appreciated”. “It’s going to be okay”. While I still didn’t have any new speaking engagements or guarantees, I left there feeling that I was doing what God wanted me to do and things would somehow work out for me. I decided that I should finally read Mother Angelica’s biography so that I could look for signs that I was on the right or the wrong track. After all, she was asked by the Lord to do “the impossible” and maybe I could learn from her story. Before I read the book, I assumed that everything always worked out perfectly as she built EWTN. I thought that if God wants you to do something, then everything just falls into place. I thought that if you run into problems and that you don’t get a lot of donations or if you’re not booked solidly for the next year then the Lord is telling you it’s time to move on. I was pleasantly surprised to learn that Mother Angelica failed sometimes. I also learned that the network that the network was on “life support” many times. The most important lesson that I learned from Mother is that quitting is not an option. I asked myself the question, “Did I really give it my best shot?” I kept saying I did, but did my actions support my words? I needed to make sure that I truly “gave it my best shot”and realized that there were still some things that I could do. I started mailing books, letters, making phone calls and networking. I also kept praying and asking Our Lady and Our Lord for guidance. By the grace of God, I am still working in full time ministry. We live month to month, but my family and I have never been more peaceful. We are all learning what it means to TRULY trust in God and I will not quit. I’m willing to fail or be defeated, but I won’t quit until I have done all that I can. If God Brings You To It, He Will See You Through It! Many of you know this, but I’m going to say it anyway. The fact that I’m able to be here today and address you is proof that if God asks you to do something, He will give you what you need to do the job. My job (and your job) is to let Him work through us. I also want to emphasize that I am doing something which the world says is “impossible”. I have a business degree. I have no radio, television or writing credentials. I am a shy person by nature who has always been afraid to speak in public. On the surface what I’m doing for a living makes no sense, but somehow it’s working. Now I would like to briefly speak to each of you. No matter how successful your apostolates are, you have probably experienced moments of discouragement. You may be tempted to give up, thinking that you’re not making a difference. I’m here to tell you that you ARE making a difference and many of you have impacted my life. I’d like to speak to those of you who are involved in any way with EWTN. Mother Angelica has expressed the opinion that the whole network may have been created to help one soul. I would like to thank you for being a part of that network and to let you know that EWTN has saved my soul. Without EWTN, not only would I not be addressing you today, but I would never have gotten to know Jesus personally. Thank you for saving my life, Mother Angelica. I will continue to do my best to continue your work of bringing souls to Jesus Christ. May you rest in peace. 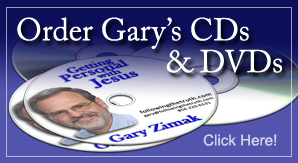 My name is Gary Zimak and I love Jesus Christ! Even though I went to church every week for all of my life, I never had a personal relationship with Jesus . I didn’t know Him and, furthermore, I didn’t think it was possible to know Him personally. All of that changed in 2004, when a medical scare got my attention and motivated me to seek the Lord. I now can say that I not only know Jesus personally, but I love Him and we speak every day! I recently sat down with Marcus Grodi on the TV series The Journey Home to share the my conversion story. You can watch the episode by clicking on the image below. I hope you enjoy the story of how I found Jesus Christ. You know what’s funny? As I look back now, I realize that He was there all along! 1. It is totally possible to go to Mass week after week and have no (or a very limited) personal relationship with Jesus Christ. 2. The Lord is so merciful and loves us so much that He never ceases to reach out to us over and over again. Even when we repeatedly ignore Him, He continues to call us in new and creative ways. 3. It is not only possible to meet Jesus Christ and have a personal relationship with Him through the Catholic Church, it is the best place to have that encounter! 4. Having a close, personal relationship with Jesus is a life changing experience that will fill your life with great joy…even if you are struggling with many difficulties. I hope you’ll tune in and let me share my story with you. You’ll hear all about how lukewarm and self-centered I was for many years. As the details unfold, you’ll be able to see how the Lord continually reached out to me and, for the most part, how I ignored Him. What’s really important, however, is the fact that I finally accepted His amazing offer and invited Him into my life. I now have a personal relationship with Jesus and I’m really glad that I do. In fact, I plan to spend the rest of my life working on that relationship and telling others about my friend Jesus. Please join me on Monday night as I share my personal story with Marcus Grodi…and with you! Announcement Number Four – My Journey To Jesus! As many of you know, I am a cradle Catholic and I have attended Mass every Sunday for as long as I can remember. 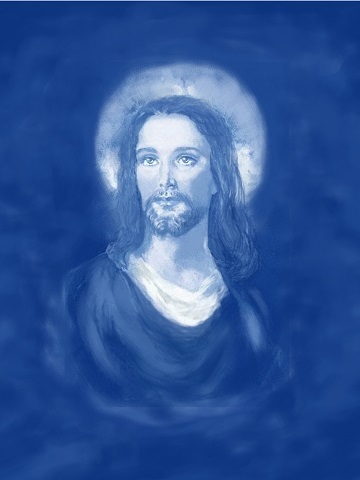 Given that information, it may come as a surprise if I tell you that for most of my life I never knew Christ personally, worried constantly, rarely prayed and made no effort to live out my Catholic Faith in the world. 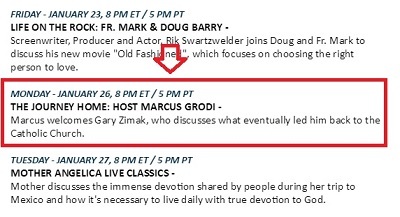 On January 26 at 8 PM Eastern, you’ll have a chance to hear my conversion story as I visit Marcus Grodi on the EWTN TV series, The Journey Home. I hope you’ll be able to watch the show, especially if you’re eager to have a closer personal relationship with Jesus. No matter how distant the Lord seems to you, He is closer than you think and He wants to be your friend. Tune in on January 26 and let me share my story with you! 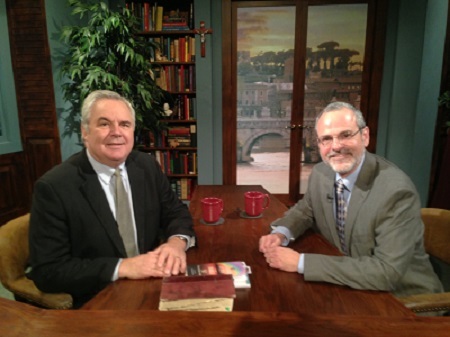 Yesterday I had the great pleasure to film an episode of EWTN’s The Journey Home with Marcus Grodi. Even though I am a cradle Catholic and never stopped going to Mass on Sundays, I was completely lost for many years. I didn’t know Jesus personally and was miserable. What changed, you may ask? It wasn’t the Lord, because He was always calling me. Rather, it was me who changed. Due to a variety of problems and situations that developed over the course of forty years, I finally started paying attention and responded to the Lord’s offer of friendship. I revealed lots of details in this sixty minute interview that I’ve never discussed publicly in the past. Tentatively, the show is scheduled to air on January 26, 2015. I hope you’ll be able to tune in. I’d love to share with you the story of how I got to know Jesus. What is your response? What do you have to lose? Just your worries, sadness, hopelessness and loneliness. Today’s the day to accept the Lord’s offer and move closer to Him, my friends. I plan to do it. How about you? Have I Grown Closer To Jesus Today? As we journey through the forty days of Lent, it’s easy to lose our focus. Even if we remain faithful to our Lenten sacrifices, we can still lose sight of our main goal – growing closer to the Lord. While it is entirely possible that giving up sweets, coffee or beer can draw us closer to Jesus (by uniting our suffering with His or recognizing that we may be chasing after the comfort provided by worldly things), it’s also possible that we can become so obsessed with our self-denial that we may lose sight of Him entirely. While it sounds like a simple question, it’s sometimes a difficult one to answer honestly. Therefore, I find it helpful to look at a series of practical questions which will help to assess our relationship with the Lord. 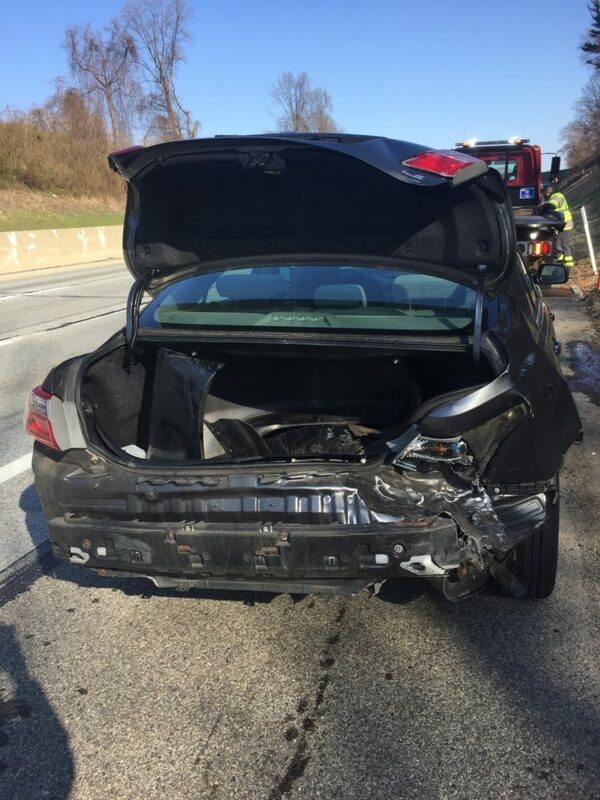 Was I grateful for everything that happened to me today (good and bad)? Was I kind to everyone I met? Did I love my enemies? Did I speak to the Lord throughout the day? Did I listen to Him speak to me (in silence, in the Bible, through the teachings of the Church)? Were my actions a good example to others? If I experienced any kind of suffering did I offer it up? Did I thank Him for giving me another day? Did I use my talents to serve Him (by doing the best I can in performing my duties)? Did I ask for His help in overcoming my imperfections? Did I tell the Lord that I loved Him? Life with him in Heaven! If you’d like some help during Lent I invite you to join me in the Lenten Radio Retreat that I am leading on my nightly Internet Radio Show. Every Monday thru Friday for the duration of Lent, I’ll read an excerpt from Fr. Larry Richard’s book, “Surrender: The Life Changing Power Of Doing God’s Will“, read and discuss the daily Mass readings and share a series of short (but POWERFUL) meditations entitled “Lenten Lollipops” (from the book of the same name by Fr. Francis Boylan). You can find out more HERE. 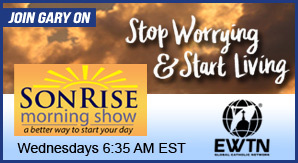 Give Up Worrying For Lent! Since A Worrier’s Guide To The Bible was released, I’ve been doing a lot of speaking about anxiety. As I visit various parishes, I encounter many people who are worried about a variety of things. And I have to admit that some of their problems are monumental. I have also met several individuals who have serious problems, but who are at peace. What gives? How can some people be peaceful even though storms are raging around them. Despite all the suffering that Paul endured, he understood that there was a bigger picture. Looking at that big picture, and not focusing on our problems, can allow us to feel peaceful even though the waves are crashing around us. Mindful of the fact that this life is temporary, St. Paul confidently states that “we walk by faith, not by sight”. Or do we? Whenever we begin to worry about the problems in our lives and lose sight of the fact that our ultimate goal is to reach heaven, we do the opposite of what Paul recommends. So many of us are anxious and miserable precisely because we are not walking by faith. Instead, we are walking by sight. When we do that, we allow the problems we see in our lives to rob us of God’s peace. Why were they afraid? Because they had little faith! Despite the fact that we many not want to admit it, fear and faith are at two opposite ends of the spectrum. Given that this is the Year of Faith (as declared by our Holy Father) and that we are entering into the season of Lent, wouldn’t it be great if we could use this holy season to move from FEAR to FAITH? Well, the good news is that we can and I’m going to be doing something on my daily radio show to help us achieve that goal! Have You Burned Your Boat? 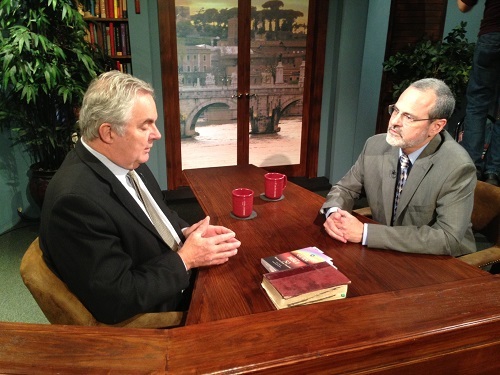 Last week, I was speaking to my good friend, mentor and fellow Catholic Evangelist Richard Lane. As is usually the case when I speak with Richard, I was feeling energized and inspired when I hung up the phone. In particular, he told me a neat story about the importance of “not looking back” once you commit your life to Christ. A few days later, I was listening to the radio and I heard the exact story. Considering that I’ve never heard the saga in my 50+ years, I assumed that there is a reason I heard it two times in a week. This radical command left this Spanish soldiers with only two choices: emerge victorious or die! The lack of an exit strategy caused these outnumbered warriors to fight as if their lives were at stake…and they were! As a result, Cortes became the first man in 600 years to conquer Mexico. 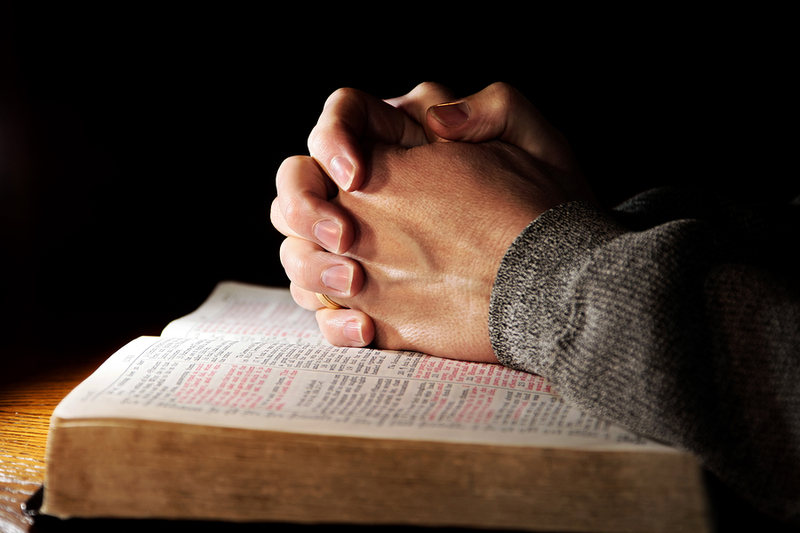 While it’s a great history lesson, what does it have to do with our faith? In reality, it has EVERYTHING to do with it! One of the costliest mistakes that we make as followers of Christ is failing to “burn our boats”. 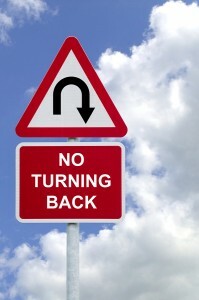 Although we profess to follow the Lord, we often have a tendency to “look backward” and hold back a bit. We’re afraid that if we get too close to Him, we might have to suffer excessively. We’re nervous about giving too much to charitable causes because we might “need that money one day”. We fail to expect miracles when we pray and often pray for “safe things” in order to avoid disappointment. While we want to be called Christians, we’re sometimes unwilling to speak out and defend our faith when necessary. If we say too much, people might not like us or think we’re strange. By holding back in these ways, we never really FULLY commit our lives to Jesus and always entertain the possibility of reboarding our boats if the Christian life becomes too challenging. What did the Lord say about this? But he answered him, “Let the dead bury their dead. Once we make the decision to truly follow Christ, there can be no turning back. Even though we’ll be tempted to backslide and “take the easy way out”, we have to remain firm and not look to the past. We all have “boats” or “safety nets” in our lives…those tendencies, possessions or attitudes which hold us back from following the Lord as fully as possible. If we truly expect to be “fit for the Kingdom of God”, we must cease looking at what was left behind and start looking at what lies ahead. Have you identified your “boat”? Once you do, burn it and remember that when it comes to following Christ and one day living with Him in Heaven, failure CANNOT be an option!